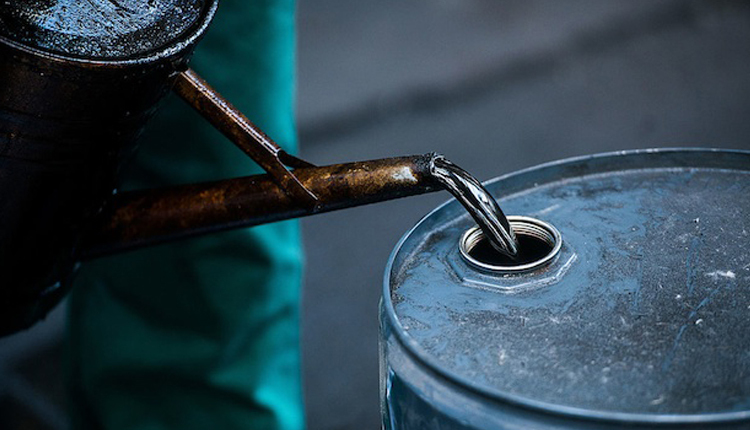 Oil fell more than 1 percent on Friday, slipping further from 2019 highs as focus shifted to a lack of progress in U.S.-China trade talks and as grim manufacturing data from Germany and U.S. reignited fears of a slowdown in the global economy and oil demand. Wall Street’s main indexes tumbled more than 1 percent on Friday after manufacturers in Europe, Japan and the United States suffered in March as surveys showed trade tensions had impacted factory output, a setback for hopes the global economy might be turning the corner on its slowdown. Brent crude futures were at $66.96 per barrel, down 1.3 percent. The contract hit a four-month high of $68.69 on Thursday. U.S. West Texas Intermediate (WTI) futures settled down 1.6 percent at $59.04 per barrel. WTI marked a 2019 peak on Thursday at $60.39 and is roughly flat on the week. “Today’s disappointing PMI data out of Germany and France spurred further dollar gains while, at the same time, compressing global risk appetite,” said Jim Ritterbusch, president of Ritterbusch and Associates. Trade negotiations with China were progressing and a final agreement “will probably happen,” U.S. President Donald Trump said in a television interview aired on Friday. A jump of more than 2 million barrels per day in U.S. crude oil production since early 2018 to a record 12.1 million bpd has made the United States the world’s biggest producer, ahead of Russia and Saudi Arabia.